Princess Cruises is probably best known for being the line that had the Duchess of Cambridge christen one of its newest ships Royal Princess in 2013. Princess got worldwide attention for the naming ceremony, with a heavily pregnant Duchess Kate smashing a bottle of champagne across the hull of the ship. The American line’s ships are very glitzy and glamorous but they’re also very classy and you’ll feel at home pretty quickly. Princess also claims to visit more destinations in the world than any of cruise line, a pretty bold statement but one that no one else has really contested. 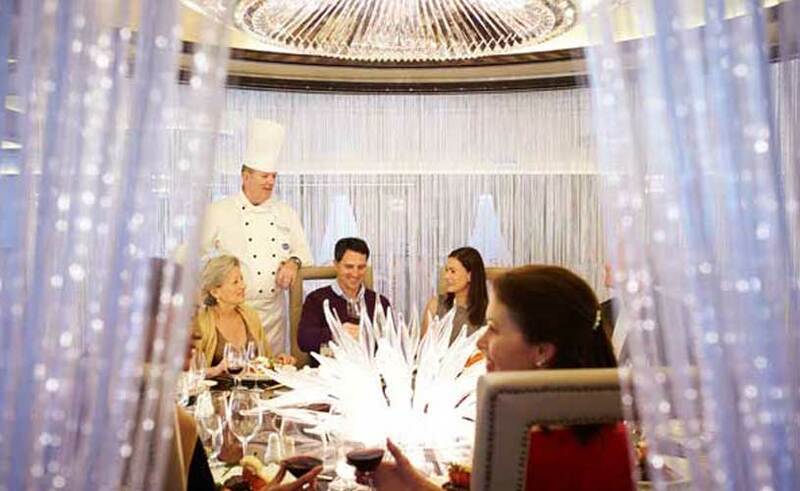 The main dining rooms always have the wow factor on Princess’ ships. The food is always great and the service is flawless, and on formal nights (which usually occur one in a week long sailing) the main dining room is the place to be as guests dress up to sample the gala menu on offer. When it comes to speciality restaurants, Princess Cruises has it covered and is up there with the best of them. In fact one of my favourite speciality dining rooms at sea is Princess’ Italian restaurant Sabatini’s (my other favourite is Qsine on Celebrity Cruises). The menu in Sabatini’s is everything you could ever want from an Italian restaurant and even a simple pasta dish tastes incredible. Steakhouse Crown Grill is also a firm favourite among regular guests. All Princess ships offer facilities for families but the line’s two newest ships Royal Princess and Regal Princess have even more additions for families. The ships have bigger spaces for kids clubs and larger pool decks. Across the fleet, Princess offers kids the chance to take place in arts and crafts activities such as T-shirt painting, scavenger hunts, science programmes and cookery classes. There are kids clubs for different ages – three to seven, eight to 12 and 13 to 17 – and teen group can take part in dance parties, ship Olympics and karaoke. 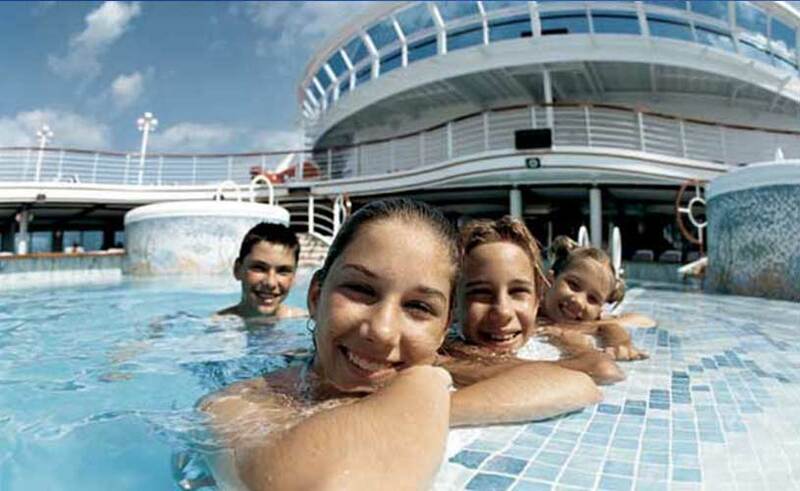 Princess also has Adventures Ashore excursions which are suitable for families. Fancy spending an evening under the night’s sky watching one of your favourite movies while sailing in the middle of the ocean? Well, Princess Cruises offers that very thing. 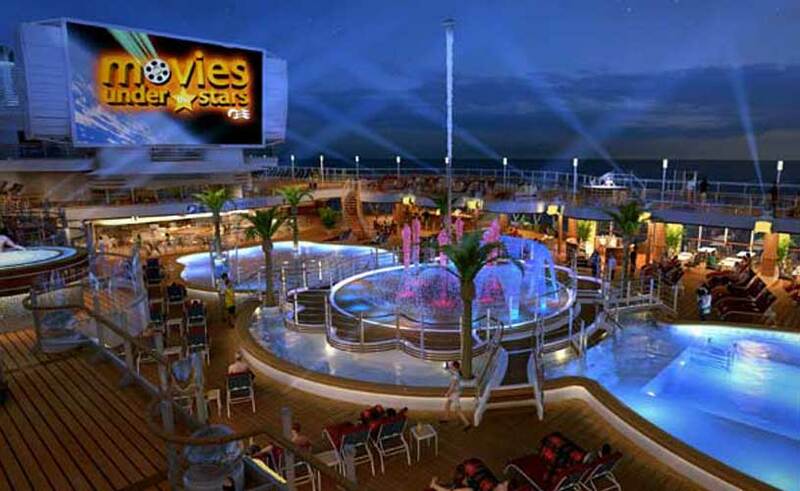 The line’s Movies Under the Stars offering adds a little magic to any evening by hosting guests on the top deck of a ship and supplying complimentary popcorn, warm cookies, milk and cozy blankets. Those looking for live performances should head to theatre, which offers Broadway-style shows, or Princess Live, a new venue on the Royal class of ships where interactive entertainment includes quizzes or gameshows. Princess’ adult-only facilities are my favourite at sea. The line really makes the most of the sun deck, and separates the deck well to accommodate families with children and adults looking for some peace and quiet. 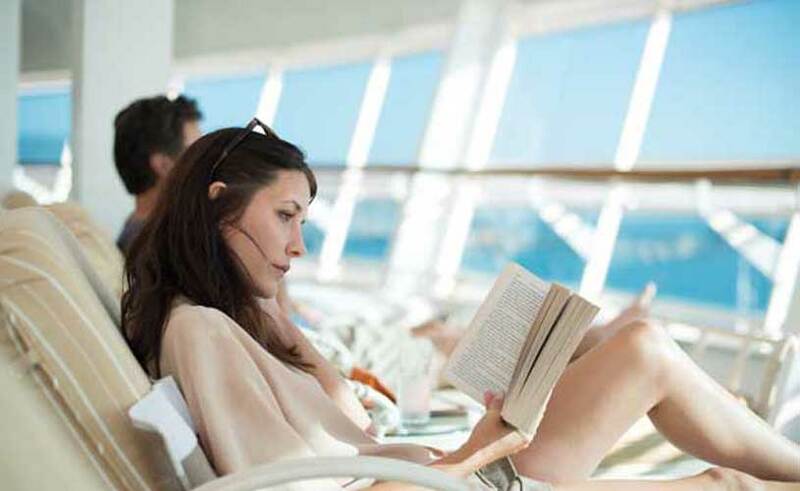 For example, on Royal and Regal Princess, there is the adult-only retreat and The Sanctuary. The latter has two massage and treatment areas (that’s on top of what is available in the Lotus Spa), and what could be better than lying at the front of a ship having a massage in the sunshine?! The Sanctuary also serves healthy food options with its own menu. The Lotus Spa is renowned for offering great treatments, but the spa’s Enclave, available on the newer class of ships, is also a hit with customers. Like the Sanctuary it comes at a charge, but it is well worth it because you get access to hydrotherapy pool, saunas, water beds and heated water beds. As with all other cruise lines, the cabins on Princess’ older ships are a little dated and many feature wood panelling which is a little old school. But the staterooms on the newer ships are lovely, the rooms are a good size with lots of space and the décor is modern yet homely. The line also offers cabins and suites that can accommodate up to eight people, which is handy for larger or multigenerational families. Princess ships tend to have a high ratio of balcony cabins, and if you can afford it, a room with a view on this line tends to be good value.